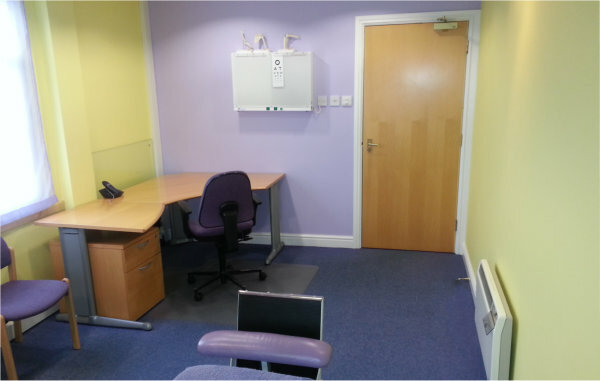 Everything you need to work efficiently and effectively. If you have images on film we have a view box with a hot light so you can view the images easily. 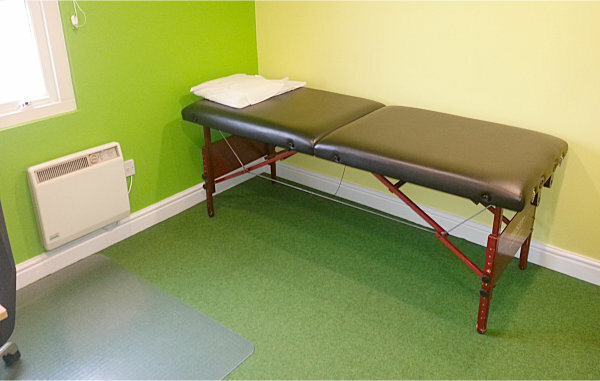 Clean and modern facilities. 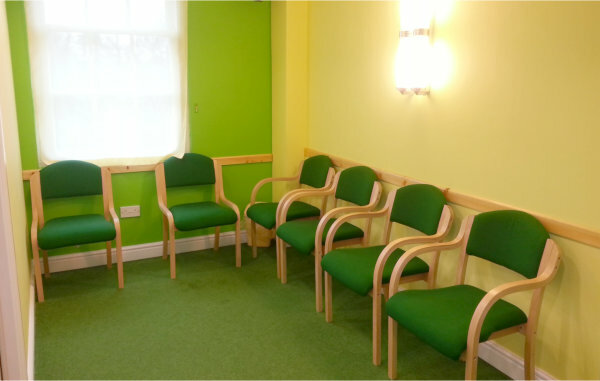 Ample waiting room space for your clients. 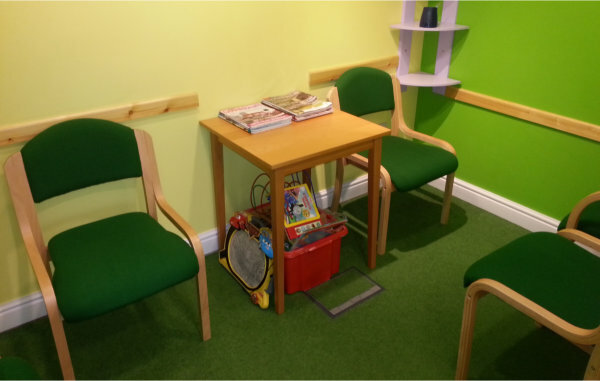 The waiting room has a variety of children’s toys and up to date reading material for your clients to keep them happy. 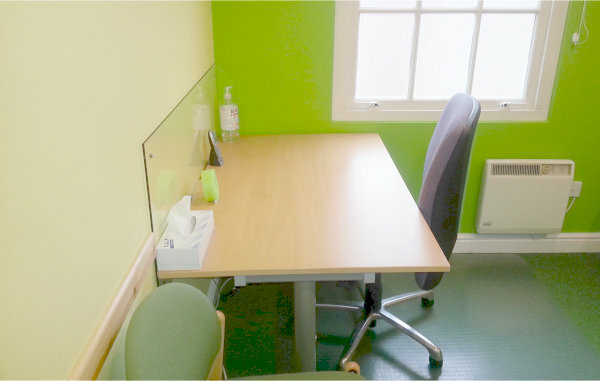 Our second consulting room – with its bright and modern colour scheme. Modern and bright – a pleasure to work in. 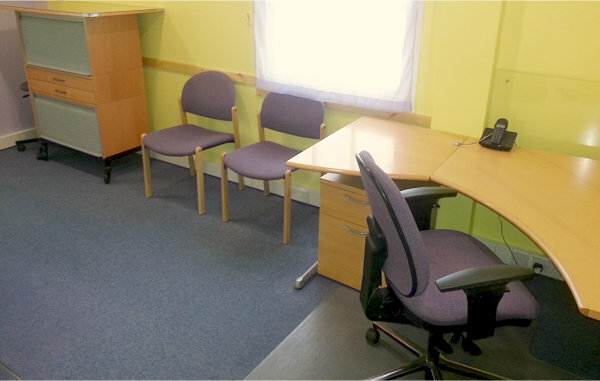 Wireless broadband up to 20 MB – no delay in sending or receiving information. 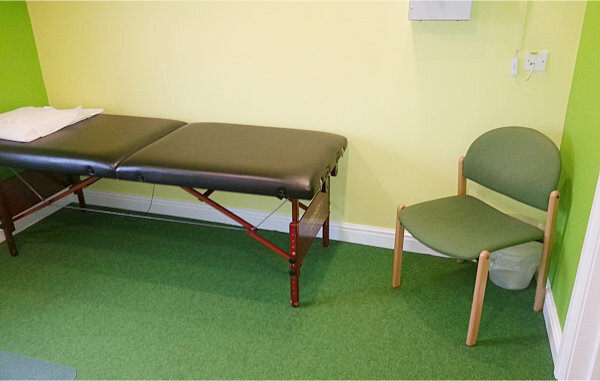 A standard GP examination couch with step up should your clients need it. This room has enhanced sound proofing. 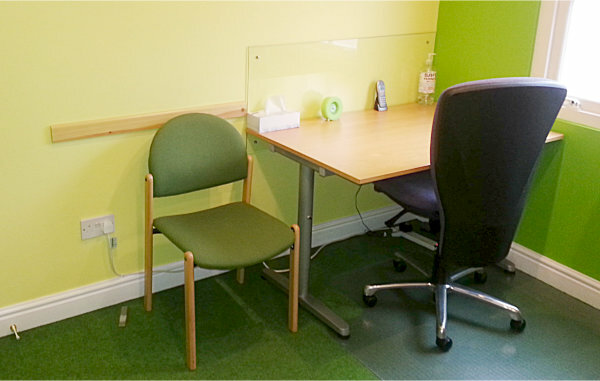 Plus has extra seats for you clients chaperones.